Juju: She loves walking barefoot, just like her mum. Mowgli: Eight teeth are coming through at once. Molers and canines. My poor baby. Coco: No matter how many times I tell him and his brother not to play with the door, I find them back at it. It’s been a hard week. Cranky, teething, sick kids = a tired, cranky mum. Next Post The root of all that is wrong with the world. Precious…all of them. Love the dirty feet. Anyone who makes letter pancakes is welcome in my world anytime! Thanks so much for taking the time to leave me a message. I can’t wait to spend more time on your incredible website. Have a lovely week. Is Bijou really your daughters name? Its wonderful. Are you French? My little poppets are half frenchies. Teething is the hardest part of parenting a small person. I hope he feels better soon. Your sheets are the best! I love maps . 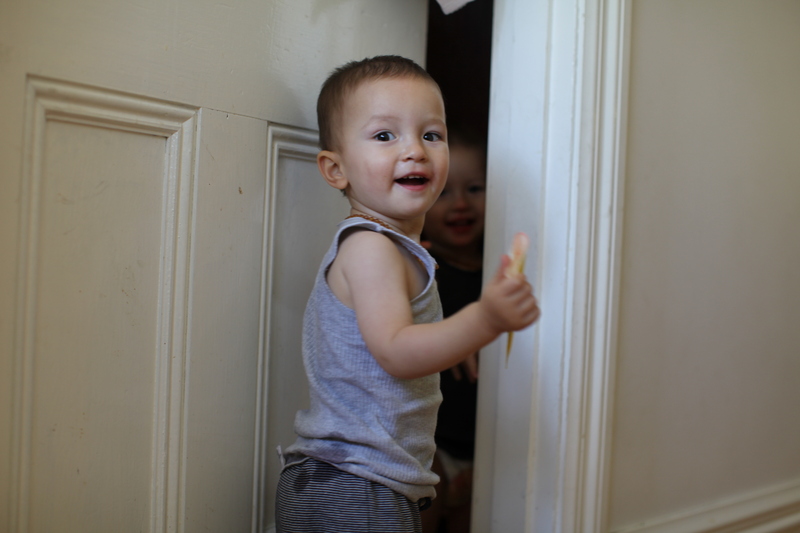 I love grubby feet…and knees…I think it is a sign of a happy childhood! And eight teeth! Poor little man! And poor mommy! Doors are viewed as a toy over here too. Its funny how everything is viewed as a toy except actual toys! Hi and thanks for commenting on my 1/52. 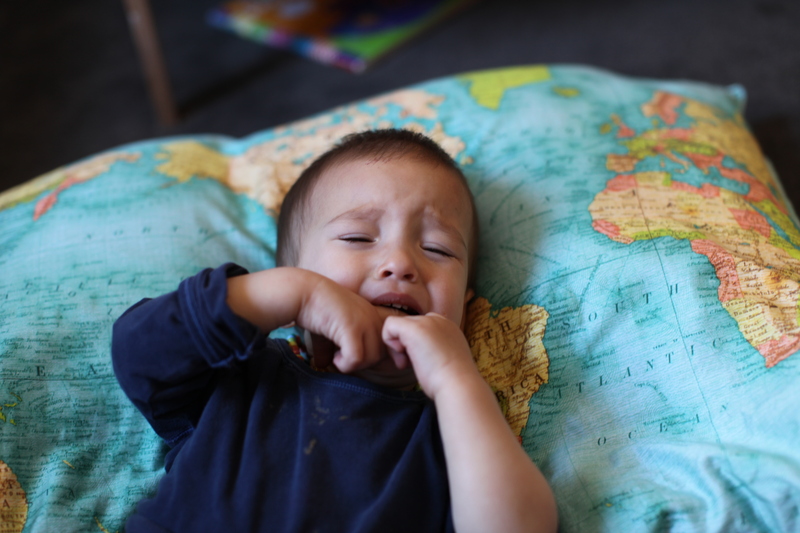 Teething is no fun at all, but you have managed some great shots. I do love an airstream and look forward to your story unfolding. i was pulled in by the sweet feet and the name of your blog from jodi’s 52 post … i just love airstreams and cant wait to follow your adventures! We are going through the same over here. My girl is getting four molars, two canines, and one of her bottom teeth. It’s just not fair to them. Poor babes! Now that is one cheeky face! We often have feet like that here too. I hoe the teeth get through quickly and it’s not a drawn out process for anyone. Visiting from Che and Fidel and am looking forward to hearing your adventures. Such sweet and beautiful babes you have! Sounds like a tough week, hope you get some sleep soon!